2019 - present | Principal Researcher at CESAM/University of Aveiro (UA), Portugal (CESAM - UID/AMB/50017/2019). 2017 - present | Co-leader of CESAM’s research line Marine Ecosystems & Resources (MER). 2017 - present | Co-leader of the Coastal and Ocean Planning and Governance (COPING) group in the Department of Environment and Planning. 2016 - present | Member of the Management Committee of the COST action OCEANGOV (Action CA15217). 2017 - present | Vice-leader of the WG on “Governance of MPAs” in COST action MARCONS (OC-2015-1-19601). 2018 - present | Member of the Scientific committees ICES-WGSOCIAL (WG on social indicators), International Council for the Exploration of the Sea (ICES). 2016 - present | Member of the Scientific committees ICES-WGRMES (WG on Resilience and Marine Ecosystem Services), International Council for the Exploration of the Sea (ICES). 2014 - present | Member of the Scientific committees ICES-WGCEPH (WG on cephalopod Fisheries and Life History), International Council for the Exploration of the Sea (ICES). 2015 - present | Member of SIHD (Strategic Initiative on the Human Dimension in Integrated Ecosystem Assessment), International Council for the Exploration of the Sea (ICES). 2012 - present | Member of the international network Too Big To Ignore (TBTI), leading the market opportunities cluster. 2016 - present | Member of ECOMAR-CYTED Ibero-American network. 2015 - 2018 | Auxiliary Researcher at CESAM/University of Aveiro (UA). Cristina Pita is an Invited Assistant Professor at the University of Aveiro (UA) and Principal Researcher at CESAM/UA since December 2015. She is the co-leader of CESAM’s research line Marine Ecosystems & Resources (MER) and co-leader of the Coastal and Ocean Planning and Governance (COPING) group in the Department of Environment and Planning. 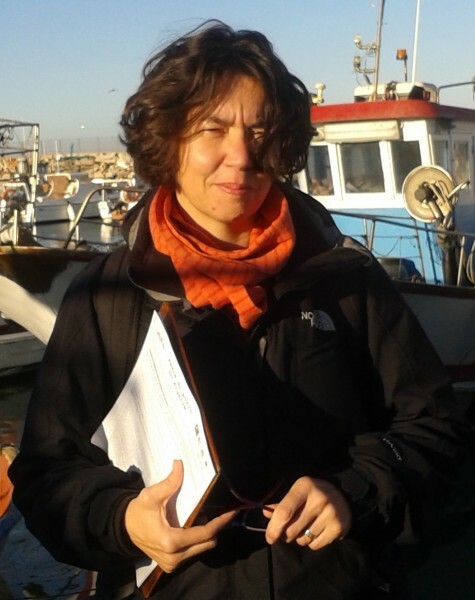 She is an expert of the National Hub (Portugal) for the Atlantic Action Plan, and has been recently invited to integrate the pool of national experts for the United Nations World Ocean Assessment (UN-WOAII), as an expert in socioeconomic aspects of fisheries. She is a member of the Management Committee of the COST action OCEANGOV (Action CA15217) and vice-leader of the WG on “Governance of MPAs” in COST action MARCONS (OC-2015-1-19601). She also takes part on several committees at the International Council for the Exploration of the Sea (ICES) (WGSOCIAL, WGRMES, WGCEPH, SIHD). She is also part of several international networks (TBTI international network, ECOMAR-CYTED Ibero-American network). Her research has been related to fisheries and coastal areas, focusing on governability, MPAs, fisher organizations and small-scale fisheries markets. She is currently the PI in UA of 7 national and international projects, with a total value of €8.59 million (having captured €835.8 thousand to UA). She has contributed to 36 ISI-indexed publications, 9 book chapters, and 2 Technical Reports for the European Parliament. Member (and co-proponent) of ICES Strategic Initiative on the Human Dimension in Integrated Ecosystem Assessment (SIHD). International Council for the Exploration of the Seas (ICES). Member of ICES working group on cephalopod Fisheries and Life History (WGCEPH). International Council for the Exploration of the Seas (ICES). Co-proposer and chair of Panel Session "Integrating economic and social sciences in marine ecosystem services research”. ICES Annual Conference. Florida, USA, 18-21 September 2017. Co-proposer and chair of Panel Session “Gender/women relations within coastal and fisheries communities: from past to present”, MARE conference. Amsterdam, Netherlands, July 2017. Co-proposer and chair of Panel Session “Markets and market opportunities for small-scale fishery products”, MARE conference. Amsterdam, Netherlands, July 2017. Chair of the session “current knowledge about small-scale fisheries in Europe” and round table “collaboration and partnership for sustainable small-scale fisheries”. TBTI 2016 Symposium on European small-scale fisheries and global linkages. Santa Cruz de Tenerife, Spain, 29 June- 1July. Co-organizer, Workshop “Social transformation of small-scale fisheries”, financed by EUROMARINE. Brest, France, February 2016. Co-organizer (with K. Frangoudes, University Bretagne Occidentale) of a workshop financed by EUROMARINE entitled “Social transformation of small-scale fisheries”, held in Brest (France), February 2016. Co-editor (with J. Pascual-Fernandez & M. Bavinck) of book "Status and resilience of small-Scale Fisheries in Europe: In the shade of the CFP reform and economic crisis". MARE Publication Series, Springer. In progress. Co-editor (with J. Pascual-Fernandez, G. Pierce & S. Villasante) of special issue "Small-scale fisheries under data-limited contexts”. Marine Policy. In progress. Co-convener (with J. Pascual-Fernandez, G. Pierce & S. Villasante) of ICES conference theme session on "Small-scale fisheries under data-limited scenarios" (Theme session F). Copenhagen, Denmark, September 2015. Co-convener (with J. Pascual-Fernandez & M. Bavinck) of MARE conference panel session "Status and resilience of small-Scale Fisheries in Europe". Amsterdam, Netherlands, June 2015. 2015-2016. ICES Sciences Fund “Social transformation of marine social-ecological systems”. Funded by International Council for the Exploration of the Seas, Science Fund. 2015-2016. DKK 66.216. 2015. European Parliament “Sardine fisheries: resource assessment and social and economic situation”. Commissioned and funded by: European Parliament, Directorate-General for Internal Policies: Fisheries. EP. 2015 (finished). €13.5K. 2013-2016. Partner. EU project PARASITE “PArasite Risk Assessment with Integrated Tools in EU-fish production value chains”. Collaborative Project. Funded by: Collaborative Project, EU. €210K. 2012. Partner. “The contribution of Marine Protected Areas to protecting highly mobile species in English waters”. ERG1116. Funded by: Department for Environment, Food and Rural Affairs (DEFRA). £36K. 2009-2011. Partner. EU project AQUALABS (2009-1-TR1-LEO05-0864). Funded by: Lifelong Learning Programme, EAC-EA, EU. €44.8K. 2008-2009. Partner. 'Economic Value of the Moray Firth Bottlenose Dolphins'. Funded by: Moray Firth Partnership. £17K.